The other day, my husband and I drove past a man walking with an animal draped over his shoulders. At first, I thought it was a shepherd with an injured sheep dog, but as we came closer I realized that the roadside wanderer was a Franciscan monk. The site flew by, leaving me with a Sunday school image of a saint carrying a lamb. Such a vision would not even be fathomable in our past life in North America. We never saw monks and nuns on the street there, unless it was Halloween. 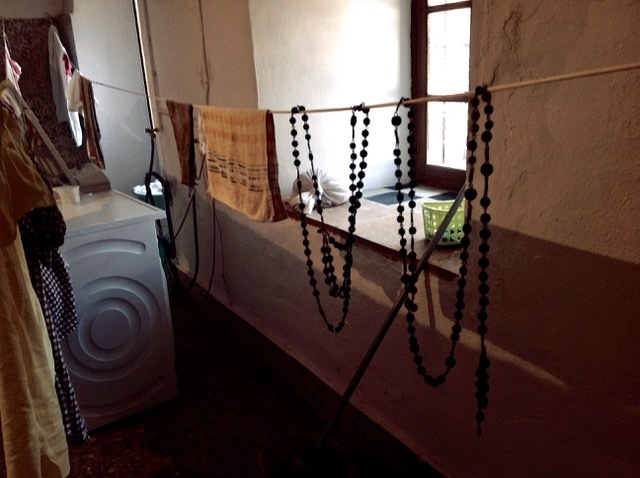 But living in rural Andalucía, we have become accustomed to the daily presence of sisters and brothers of the cloth. 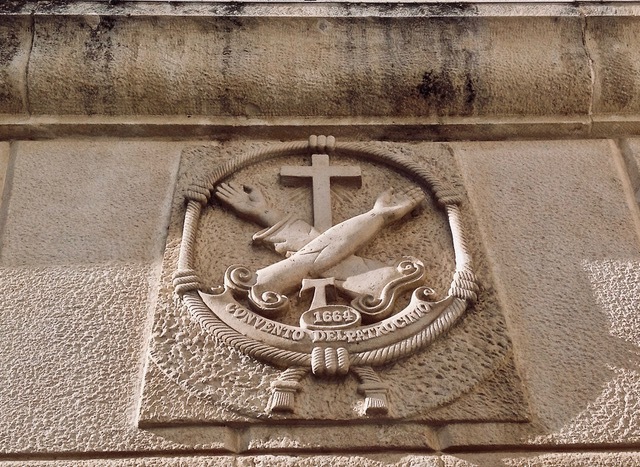 There is no doubt – Spain is a very Catholic country. 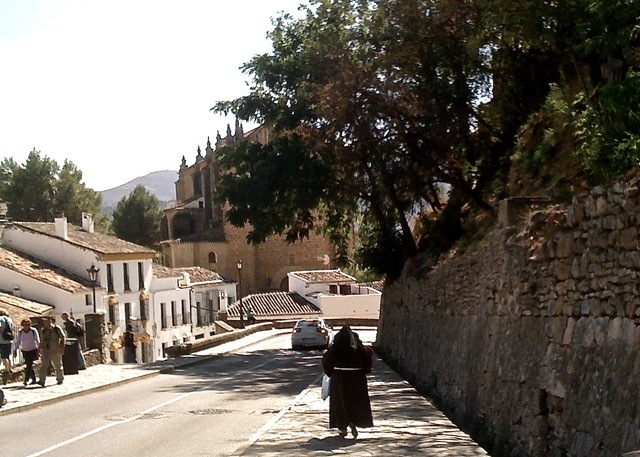 In Ronda, people still cross themselves when they pass a roadside chapel, even if they are driving a scooter on a bumpy road. Many still send their kids to Catholic schools and most of our neighbours are active members of one of the town’s fourteen religious brotherhoods. The vast majority still celebrate the milestones in life in front of an altar and do not consider a rosary a fashion accessory. Though few locals go to church on Sundays anymore, they all know the Mass back to front. And everybody in town seems to have at least one great-aunt that is a nun. It shouldn’t therefore be a surprise that our town of barely 35 000 residents has at least half a dozen working convents and monasteries. But for how much longer will they be around? 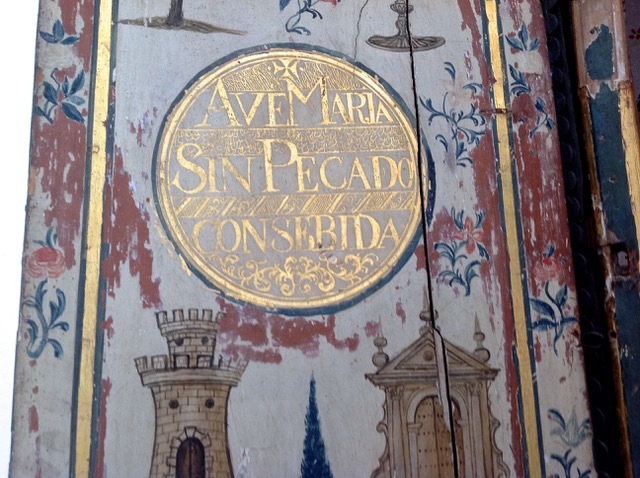 Every month a Spanish monastery or convent needs to close its doors. Most have been serving the community for centuries, teaching the young, nursing the sick, helping the needy, or offering spiritual counselling and prayers. In 1980, Spain had almost 100.000 monks and nuns in dozens of orders. Four decades later, 40.000 remain. An additional 1000 members depart each year, not abandoning their faith for secular living – most simply die of old age. The average Spanish monk or nun is 64 years old, while stricter orders such as Jesuits have an average age of 75. The local convent, like our neighbourhood, is named after St. Francis. Convento San Francisco was constructed in the 17th century, at the location where King Fernando sieged the town in 1485. The convent was attacked by Napoleon’s forces in the War of Independence and was almost burned to the ground during the Spanish Civil War. One would think by this gloomy history that nothing is left of the original buildings. 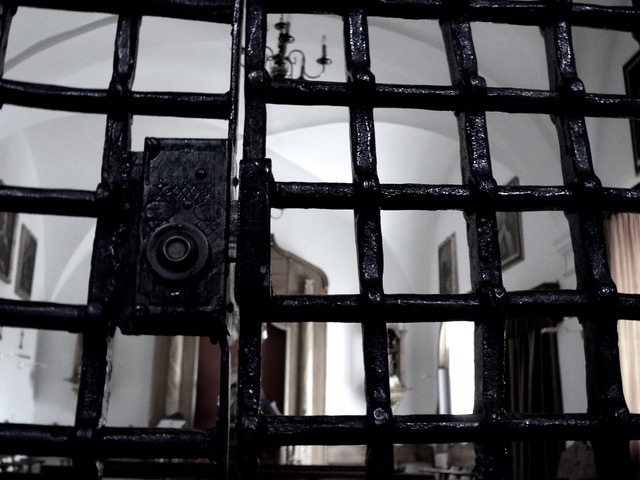 Yet, walking through the convent’s courtyards, passing heavy wooden doors with huge hand-forged keys, up creaking steps into silent halls holding ancient niches with crackled religious paintings and hand tinted Baby Jesus porcelain dolls, one can easily imagine how life would have been here centuries ago. But what is it really like to be a nun in this day and age? I decided to pay a visit and talk to our Franciscan hermanas (sisters) next door. Quickly approaching 90, La Madre Abuela is unstoppable. She is responsible for the abundance of flowers in the convent’s courtyard, is a master seamstress, and the go-between when there is construction work in the convent. She also fixes shirts and hems pants for the congregation against a symbolic donation to the convent. Come to think of it, I don’t think I have ever seen her without her sewing scissor dangling from a string or a thimble in the pocket of her patched, worn, brown Franciscan robe. Though her doctor won’t allow her to work like she used to, she protested when she was told to stop doing the laundry, by hand, in winter, in the century-old stone sinks in the convent’s garden, especially since they have perfectly working modern laundry machines inside… “What do they want me to do? Sit down and wait to die?” she says with twinkle in her eye. Always wanting to join a convent, Rosário as she used to be called was born in Estepa in the province of Sevilla in 1929. (Those days the nuns used to change their name upon giving their vows.) Her father had passed away before she was born and her mother had lost 5 of their 11 children in childbirth or early childhood. Understandably, she therefore didn’t want to ‘loose’ her youngest child to the church, especially since one of her older daughters already was a nun. But Rosaríta, or little Rosario didn’t give up, arguing wisely that she wouldn’t be lost, because she wouldn’t be dead, since nuns were still of this world. Her mother told her to “Pray and ask God what you are supposed to be”. 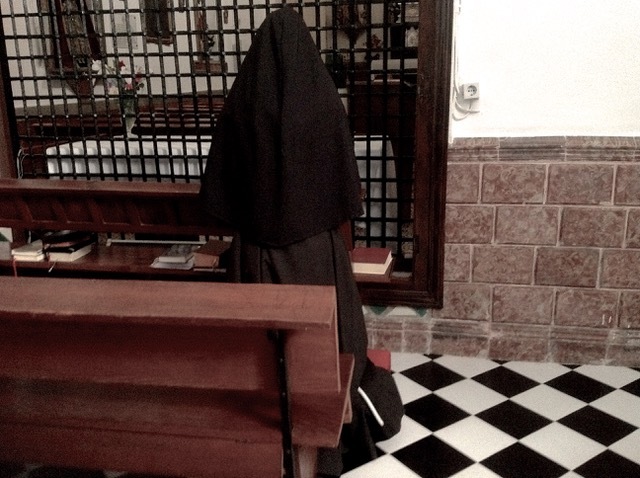 To join an order, she needed a letter from her priest, stating that she came from a good Christian family, were the right type of girl, had a strong vocation and the right disposition for monastic life. 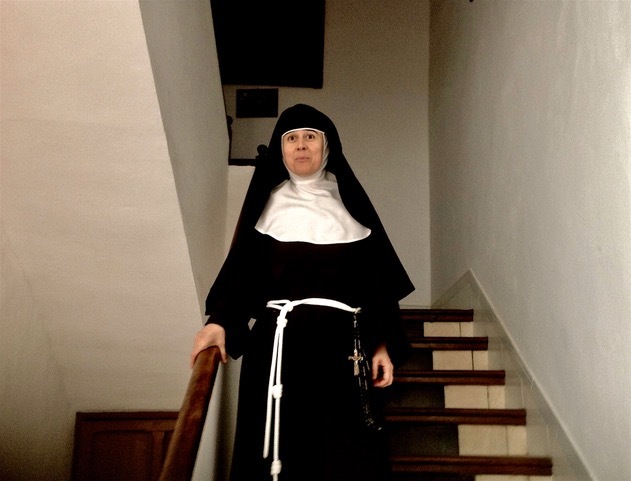 “Some people thought that I didn’t have the personality to be a cloistered nun, but being ‘enclaustrada’ doesn’t mean that you need to be sad”. Rosario came as a novice to Convento San Francisco on the 18th of April in 1952, more than 66 years ago. “I am VERY happy here in the convent. I would never have changed my life,“ she says, always with a warm smile. 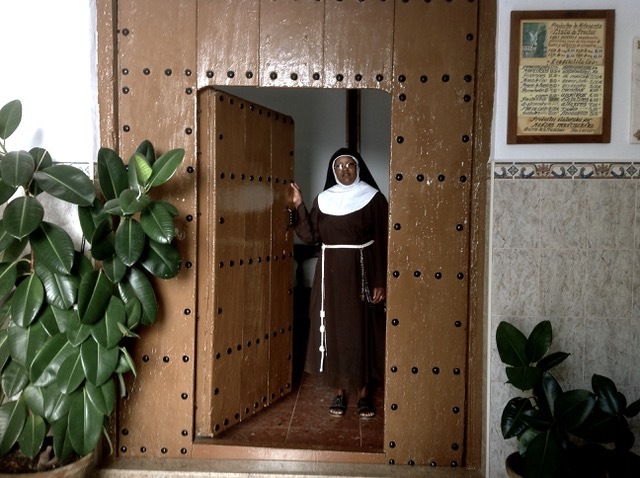 Due to Spain’s difficult economic situation during the last century, many young girls became nuns. Giving their vows of poverty, chastity and obedience, they would spend the rest of their lives inside a convent having no further contact with their loved ones, as the Church would be their new family. 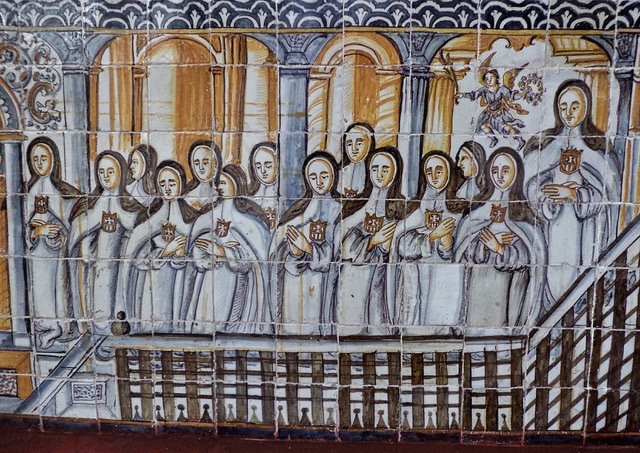 Even to this day, 75 % of Spanish religious are women, out of which one third have chosen a cloistered life. 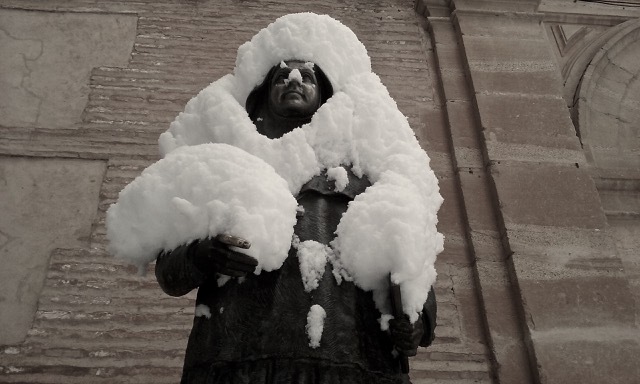 Madre Nieves, or Sor Nieves as we used to call her, is the abbess, a role she was elected to just over a year ago in a secret ballot amongst the nuns. As Mother Superior, she deals with convent business and Church affairs, communicates with the local priests and oversees the nuns. Nieves is the only rondeña of the sisters. 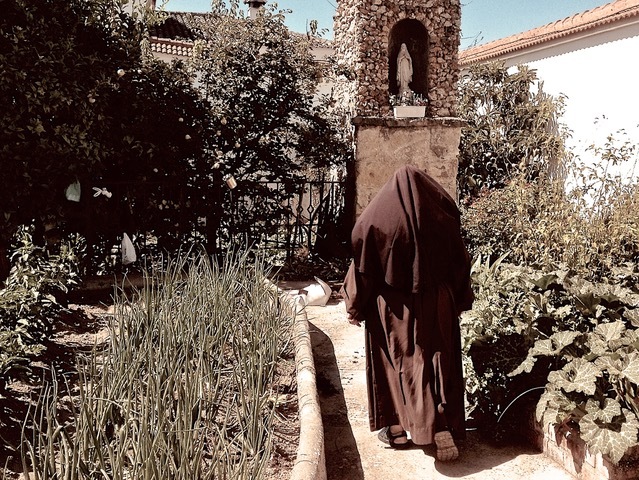 In fact, she grew up across the street from the convent, running in and out of its halls as a child, so monastic life always seemed to be her path. At 18, she told her parents “God has called me” and asked their permission to join the Franciscans, but since the age of majority was 21, she needed her parents’ written consent. 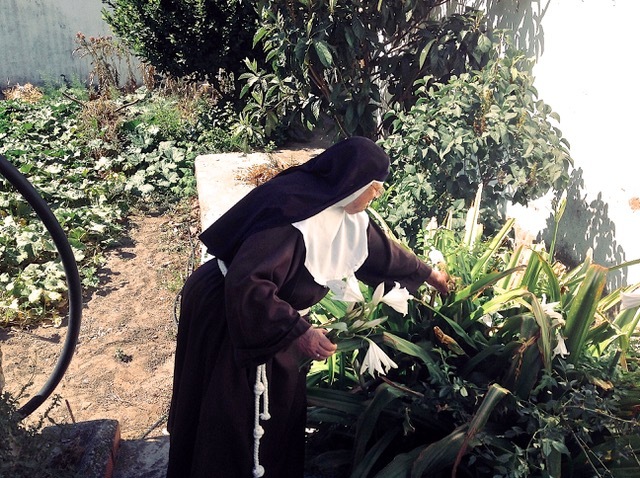 Now 75 years old, the convent has been her home for 57 years. Social and bubbly, Madre Nieves will always greet me with a cheery “Hola Preciosa!” when I come to visit. While some nuns dislike leaving the convent, she enjoys an occasional trip up to town. Last time we met her, she was there because she had problems with her cell phone. This type of outside errand would have been unheard of just a couple of decades ago, but these days cloistered nuns are allowed to go out to see the doctor, to visit government offices and to attend necessary appointments. Not every nun see smart phones and social media as part of a religious’ life, but even Pope Francis is an active tweeter with more than 17 million followers, which is probably more than many celebrities. For Madre Nieves, WhatsApp allows her to keep in contact with people. In fact, this is how we set up the times for these interviews. 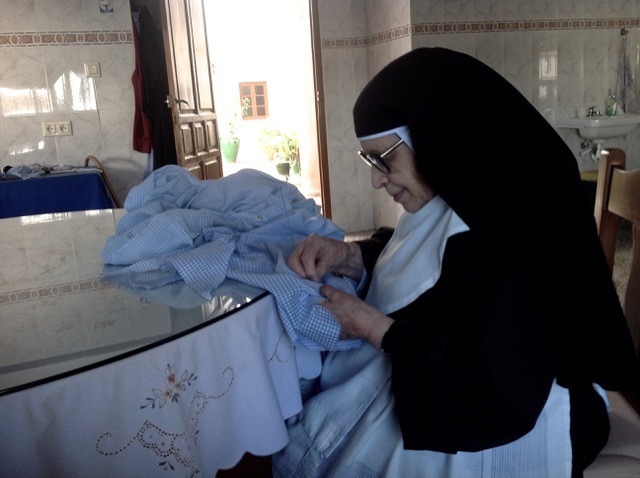 The greatest joy in living a monastic life for Madre Nieves is to be God’s servant and to be able to serve those who serve. She confides that living a communal and cloistered life is not always easy. In her words: “We have our feet on the ground, like everybody else. We are neither angels, nor saints. But we have a good life here. We are poor, but we are doing OK”. The day at the convent starts at 6.30 a.m. and ends at 10 p.m., always with prayers. The sisters keep silent until after breakfast and from dinner until bedtime, and ought to refrain from unnecessary chatter and speak in low volume for the remainder of the day. Contemplative nuns do primarily two things, pray and work, as the sisters view physical labour as an extension of their contemplative work. And work they do. Unbeknown to many, the convent receives no funds from Rome. Furthermore, they hardly receive any private donations anymore. Though the nuns live very frugally (up to last winter had no heating in their cells), they still need money to live. The sisters are responsible for generating enough funds to cover their living expenses and the upkeep of the buildings. Some convents use all their income just taking care of their ageing and ailing sisters, while others have resorted to asking for help at the local Food Bank. Our nuns tell me that they will not beg for help. At the same time, they no longer earn enough from their traditional production of sweets to sustain the convent, never mind covering Social Security and pensions, which the sisters became part of in 1977. 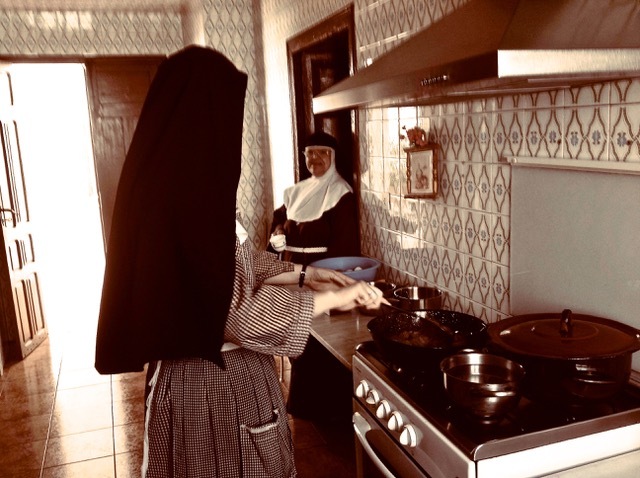 The nuns at Convento San Francisco are trying to adapt to the changing times, though for many it is a steep learning curve. The convent needs to find new ways of generating revenue, just to make ends meet. While the nuns have always sold baked goods, they are now trying to expand their business to supplying local restaurants and stores, as well. 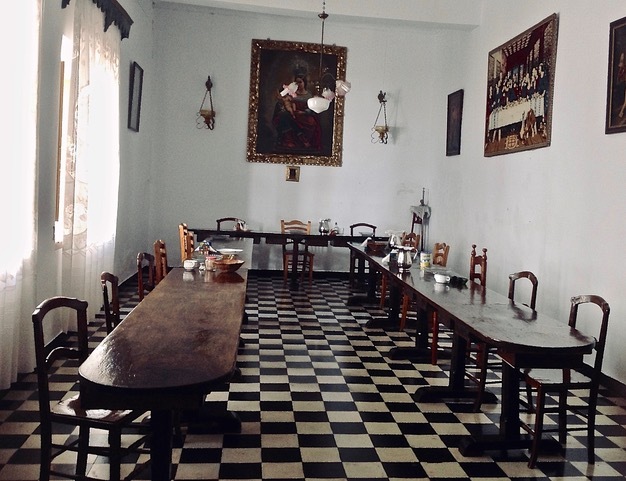 The convent’s industrial-size kitchen looks like a mid-century version of a commercial bakeshop, where the sisters shell almonds, one by one, to make their almond cookies. If one were to calculate the actual cost of each piece, nobody but the Spanish royal family would afford them. It is a labour or love, or for the sisters, perhaps of devotion? Their baking is not all that the sisters are changing. Unused rooms on the upper floor of the convent are now rented out as storage, and spare quarters in the outer courtyard are being transformed into rental lodging. Maybe soon the nuns of San Francisco will be listed on AirBnB? 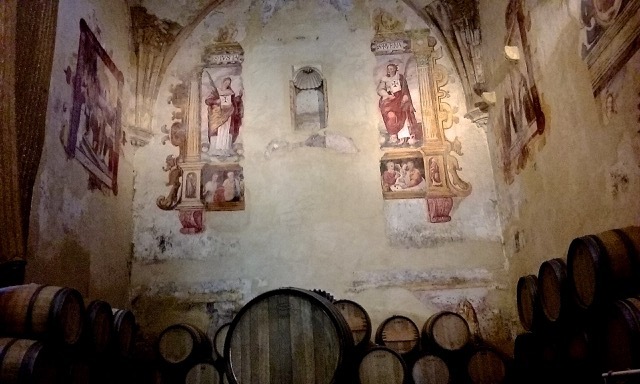 The sisters tell me that Spanish convents are in a crisis, because of the lack of vocation amongst the young, because there aren’t enough priests to say mass, and because of the rising cost of maintaining the old, enormous and often historically significant buildings. In the not very distant past, monks and nuns were the society’s teachers, nurses and health care workers. These days, you need certificates and university degrees to practice any type of profession. 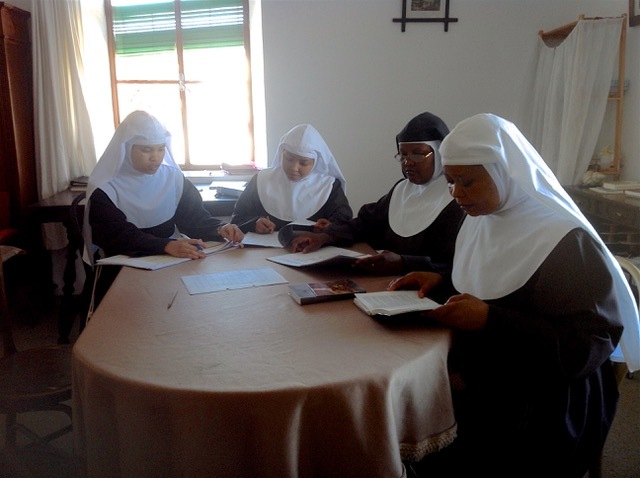 Religious training inside a closed convent won’t be considered practical working experience outside the convent’s walls. Even the role of caring for ‘souls’ is gradually being taken over by the secular society in the form of psychologists, marriage councillors, social workers, addiction therapists, and more than anything, the Internet. A young person who wants to help the needy can find a slew of charitable organizations that won’t demand the personal restrictions of a religious order. 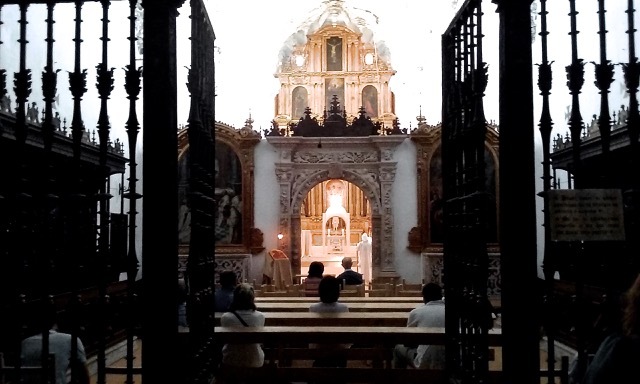 With all the choices offered in our contemporary society, it is difficult to imagine a young Spanish willing compromise him or her-self to a cloistered life of celibacy and poverty. “Had it not been for our novices from other countries, we would have had to close down”, says the abbess. Convento San Francisco had 18 nuns when she arrived almost six decades ago. Today they are 5 nuns left. Out of these, only two are Spanish born, the others are from Kenya and Mexico, while the convent’s three new novices are from Madagascar and Tanzania. 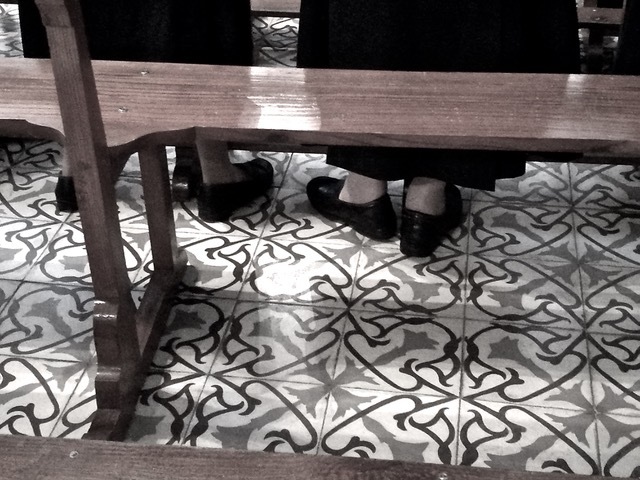 One in every five Spanish religious sisters and brothers are from another country. The majority of the postulants and novices who join Spanish religious orders come from Africa, Latin America and Asia, as these are the only areas in the world where the Catholic community is still growing or maintaining its numbers. Yet, even this ‘importation’ from other continents is not able to stop the dwindling numbers of monks and nuns or the continuous threat of closure that most both monasteries and convents are facing. In contrast to some of the older nuns, Sor Isabel had a professional career prior to becoming a nun. Originally from Machakos in Kenya, Elizabeth as here name used to be, told her parents that she wanted to be a nun when she was 17. Believing it was the passing fancy of a teenager, her father insisted that she get an education and a profession before making a final decision. Elizabeth studied business and worked for 4 years. When she informed her employer that she wanted to enter a convent instead, they doubted her decision. She was told to try for a year. If she didn’t like it, she could come back to work. Sor Isabel never looked back and has now been a nun for 14 years. “There may have been moments of doubt, but I always returned to my faith,” she says. 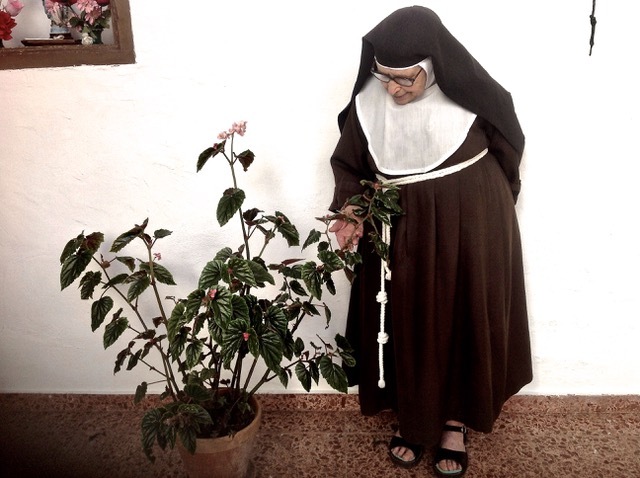 In Kenya, most nuns choose an active life of teaching and mission work instead of a contemplative life in a closed convent, but Sor Isabel preferred the silence. “We do not need to be present to help, because prayers have no limit”, she says. She confides that living a cloistered life has its challenges. The nuns have different backgrounds, languages and characters, which get amplified in a communal existence. Part of this convivencia or coexistence is resolving issues – through reflection, listening and acceptance. In addition to household chores, Sor Isabel coordinates the education of the novices, a training period which usually last 2 years. I met the novices in the teaching room, where they take lessons in Spanish, vocational singing and scripture reading. Why do they want to become nuns, I ask and they smile shyly, mumbling about serving El Señor. Finding new novices and postulants is also the responsibility of each convent, not the Church. Foreign nuns have in recent years been allowed to visit their family every 4 or 5 years and to go home if there is a death in the family (funds permitting). During these travels, the sisters are ambassadors for their convent, trying to spur interest amongst young girls in their country to join their sisterhood. Sor Clara, or Herminia as is her Christian name, is originally from Aguas Calientes in Mexico. She grew up in front of the parish church, where she sang in a choir, participated in youth groups, and later taught bible studies. 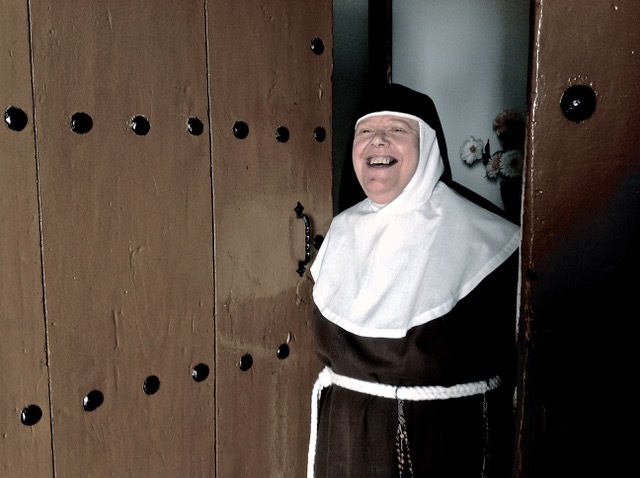 Recognizing her vocation, the local nuns invited her to a religious’ experience in a convent. Even then, she felt that this was what she wanted. Upon her parish’ urgings, she studied and became a Catholic schoolteacher instead. While working as a teacher for 5 years, she longed for a quieter life. She never forgot about her experience in the convent. She knew that a cloistered life is what she needed to give her life meaning. 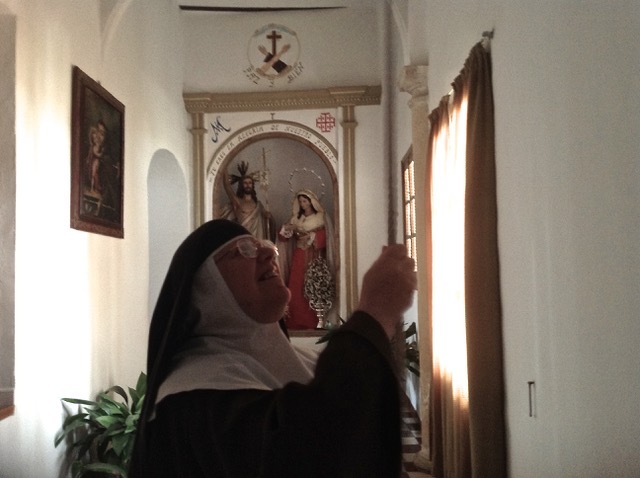 Sor Clara came from Mexico to Convento San Francisco, which has been her home or the past 9 years. “I am a very solitary person. I love silence, praying and being near nature, where I feel a direct connection with God.” But monastic living cannot be all easy, I wonder, and she admits that it took her some time to get used to the non-spicy Spanish food, and more so to adapt to Ronda’s mountain climate, which can be very cold in winter. The only task she doesn’t really look forward to, is the cooking, which is done on rotation among the sisters. The other nuns joke about how they all get thinner during the weeks when it is the Mexican sister’s turn to make the meals, but it is all done in good humour. Sor Clara prefers to play music, religious music, of course. She is trying to learn to play the church organ so she can assist with Mass, though the convent only has a partly functioning organ for her to practice on. 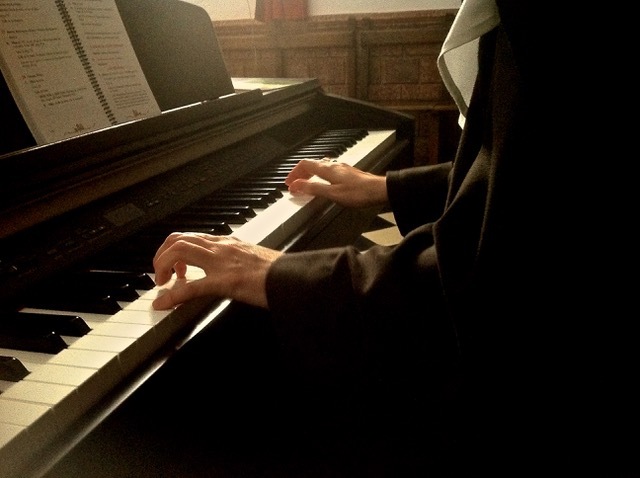 But, with the Franciscan sisters’ faith and patience, I am sure a proper organ will find its way to them, one day. Convento San Francisco is still managing to stay afloat, but I cannot help but wonder for how much longer these historical institutions will survive? Will people still want to join the order in the future, or is this the end of the sisterhood, as we know it?